Riley Duren is Chief Systems Engineer for the Earth Science & Technology Directorate and Fellow at NASA’s Jet Propulsion Laboratory, a division of the California Institute of Technology. He supports the formulation and implementation of JPL’s earth science enterprise – including spaceborne instruments and missions, airborne studies, research and analysis, and applied science. For nearly three decades he has worked at the intersection of science and engineering to deliver observational systems including seven successful satellite missions ranging from earth-mapping radars to telescopes in deep space. He was previously the Chief Engineer for the Kepler mission that conducted a major survey of earth-size planets around other stars. In addition to his earth science program work he is currently involved in strategic efforts at JPL seeking to advance the broader state of the art in program architecting, science traceability, verification, validation and uncertainty quantification for complex systems. Additionally, in 2008 he began to extend the discipline of systems engineering to the challenge of societal decision-making for climate change mitigation, adaptation and direct intervention. 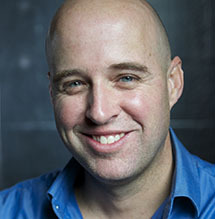 He is Principal Investigator for six research projects to develop and test carbon monitoring systems and strategies that combine measurements from satellites, aircraft and surface-based systems, tracer transport modeling, machine learning, and big data methods to detect, quantify and attribute emission sources. These efforts support programs at NASA, the National Institute of Standards and Technology, the National Oceanic and Atmospheric Administration, the California Air Resources Board, the California Energy Commission and a number of local agencies and other stakeholders in California. He is also a Visiting Researcher at UCLA’s Joint Institute For Regional Earth System Science and Engineering. Thorpe, A.K., Frankenberg, C., Thompson, D.R., Duren, R.M., Aubrey, A.D., Bue, B.B., Green, R.O., Gerilowski, K., Krings, T., Borchard, J., Kort, E.A., Sweeney, C., Conley, S., Roberts, D.A., Dennison, P.E. (2017). Airborne DOAS retrievals of methane, carbon dioxide, and water vapor concentrations at high spatial resolution: application to AVIRIS-NG. Atmos. Meas. Tech. (2017), doi: 10.5194/amt-2017-51. Verhulst, K.R., J. Kim, P.K. Salameh, C. Sloop, A.Karion, T. Pongetti, F.M. Hopkins, C. Wong, P. Rao, J. Miller, R. F. Keeling, R. F. Weiss, C. Miller, and R. Duren, In Situ Carbon Dioxide and Methane Measurements from a Tower Network in the Los Angeles Megacity , Atmos. Chem. Phys., (2016), doi: 10.5194/acp-2016-850. Thompson, D.R., A. K. Thorpe, C. Frankenberg, R. O. Green, R. Duren, L. Guanter, A. Hollstein, E. Middleton, L. Ong, S. Ungar, Space-based Remote Imaging Spectroscopy of the Aliso Canyon CH4 Super-emitter, Geophys. Res. Let. (2016), doi: 10.1002/2016GL069079. Hulley,G.C., R. Duren, S.J. Hook, F. Hopkins, N. Vance, et al., High spatial resolution imaging of methane and other trace gas sources with the airborne Hyperspectral Thermal Emission Spectrometer,Atmos. Meas. Tech. (2016), doi:10.5194/amt-2016-8. Bloom, A. A., Lauvaux, T., Yadav, V., Duren, R., Sander, S., Worden, J., and Schimel, D.: What are the greenhouse gas observing system requirements for reducing fundamental biogeochemical process uncertainty? Amazon wetland CH4 emissions as a case study, Atmos. Chem. Phys. Discuss., doi:10.5194/acp-2016-325, 2016. Wong, K. W., Pongetti, T. J., Oda, T., Rao, P., Gurney, Kevin. R., Newman, S., Duren, R. M., Miller, C. E., Yung, Y. L., and Sander, S. P.: Monthly trends of methane emissions in Los Angeles from 2011 to 2015 inferred by CLARS-FTS observations, Atmos. Chem. Phys. Discuss. (2016), doi:10.5194/acp-2016-232. Kuai, L., G. Hulley, J. Worden, F. M. Hopkins, King-Fai Li, C. E. Miller, S. Hook, R. Duren, A. Aubrey (2016), Characterization of anthropogenic methane plumes with the Hyperspectral Thermal Emission Spectrometer (HyTES): a retrieval method and error analysis, Atmos. Meas. Tech.., doi:10.5194/amt-2015-40. Feng, S., T. Lauvaux, S. Newman, P. Rao, R. Ahmadov, A. Deng, L.I. Diaz-Isaac, R.Duren et al. (2016) LA Megacity: a High-Resolution Land-Atmosphere Modelling System for Urban CO2 Emissions, Atmos. Chem. Phys. Discuss., doi: 10.5194/acp-2016-143. K.R. Gurney, Paty Romero-Lankao, Karen C. Seto, Lucy R. Hutyra, Riley Duren, Christopher Kennedy, Nancy B. Grimm, Jim R. Ehleringer, Peter Marcotullio, Sara Hughes, Stephanie Pincetl, Mikhail V. Chester, Daniel M. Runfola, Johannes J. Feddema, Joshua Sperling, “Track Urban Emissions on a Human Scale”, Nature (2015). Keith, David W., Riley Duren, and Douglas G. MacMartin (2014), “Field experiments on Solar Geoengineering: An exploration of a representative research portfolio”, Phil Trans Royal Soc A, DOI: 10.1098/rsta.2014.0175. Hutyra, Lucy R., Riley Duren, Kevin R. Gurney, Nancy Grimm, Eric Kort, Elisabeth Larson, Gyami Shrestha, “Urbanization and the carbon cycle: Current capabilities and research outlook from the natural sciences perspective”, Earth’s Future (2014), doi:10.1002/2014EF000255. R. Duren and C. Miller, “Measuring the Carbon Emissions of Megacities”, Nature Climate Change 2, 560–562 (2012). doi:10.1038/nclimate1629. Farr, T.G., E. Caro, R. Crippen, R. Duren, S. Hensley, M. Kobrick, M. Paller, E. Rodriguez, P. Rosen, L. Roth, D. Seal, S. Shaffer, J. Shimada, J. Umland, M. Werner, “The Shuttle Radar Topography Mission”, AGU Reviews of Geophysics (2006). Duren, R. “Verification and Validation of Deep-Space Missions”, AIAA J. Spacecraft and Rockets, Vol. 41, No. 4 (2004).